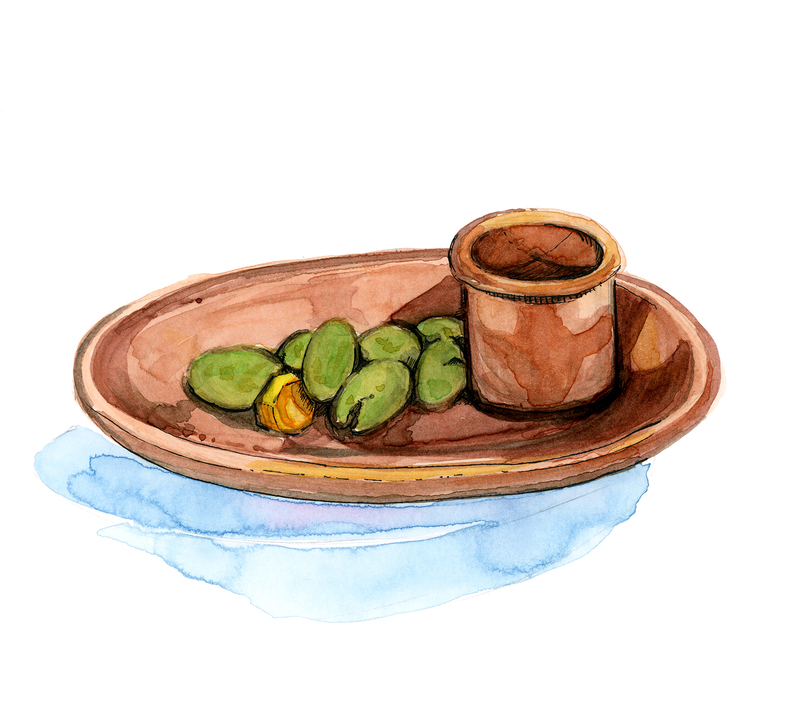 Here's the first sketch in my small series of olives eaten at various bars and tabernas in Seville and Granada. Gary and I spent five weeks in Spain pretending to be locals, while speaking horrible broken Spanish. This dish of olives, with a little container for pits, was from La Barrica de Debla: a small craft beer bar close to our Airbnb apartment in the La Macarena neighbourhood of Seville.